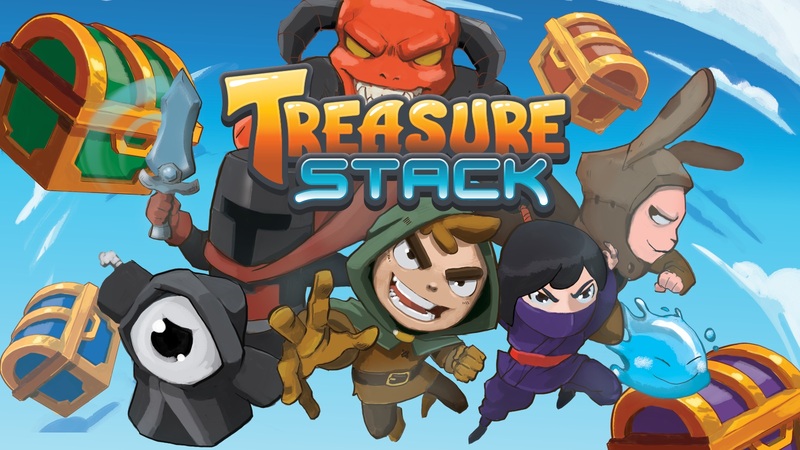 Treasure Stack has been announced for Switch during today’s Nindies Showcase. Cross-platform play will be supported, along with local multiplayer. Treasure Stack is a fast paced falling block puzzle game where organization and lightning reflexes combine to create intense 2-4 local-multiplayer versus matches. The core mechanics are simple to learn, but hard to master allowing accessibility to new players while rewarding those who play often! Go on the offensive by chaining matches together and crush your opponents by flooding their game board with garbage runes, or utilize a variety of power-ups to swing momentum back in your favor when you find yourself on the ropes. What makes Treasure Stack special? We’ve added several layers of complexity to the traditional falling block puzzle formula. Instead of manipulating the blocks themselves, the player controls a character who stacks groups of like colored treasure chests and matches keys of the same color to unlock them and score points. Matches done in quick succession award a combo which multiplies the score of each subsequent match.